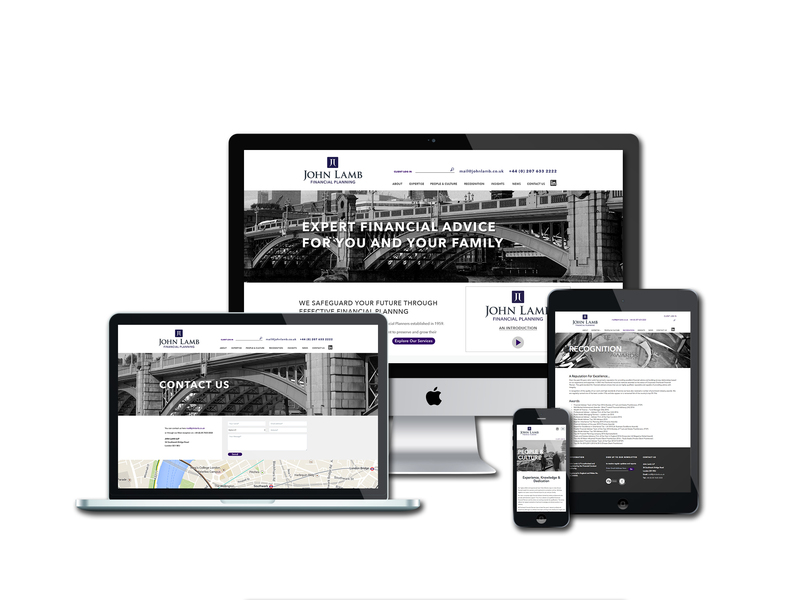 Multi-award winning independent Chartered Financial Planners, John Lamb, have launched a new website designed and developed by integrated marketing specialists, Brandnation. The website is an integral part of a new, multi-faceted marketing initiative to be undertaken by John Lamb throughout 2017 involving digital marketing, social media and advertising. With a fresh new look and feel, as well as strong focus on the mobile experience, the new website provides John Lamb customers with a clear understanding of John Lamb and its services – providing clean and easy access to information via a dynamic design and a carefully considered user experience. The website, johnlamb.co.uk has been created using an industry-leading open-source CMS, SilverStripe and the structure comprises a great variety of features, including data integration with the client's email facility, video created by Brandnation’s in-house content team, as well as custom application forms, team pages and a blog facility. John Lamb is an independent firm of Chartered Financial Planners established in 1959 and based in London's vibrant Bankside. The company provides expert financial advice to people who want to preserve and grow their wealth responsibly for this generation and the next. John Lamb is renowned for its customer service and industry knowledge and has won more than 15 industry awards in the past five years. These include STEP’s Financial Team Advisor of the Year 2016 and Professional Adviser Firm of the Year (UK) 2016. This press release was distributed by ResponseSource Press Release Wire on behalf of Brandnation Integrated Ltd in the following categories: Personal Finance, Business & Finance, Media & Marketing, for more information visit https://pressreleasewire.responsesource.com/about.